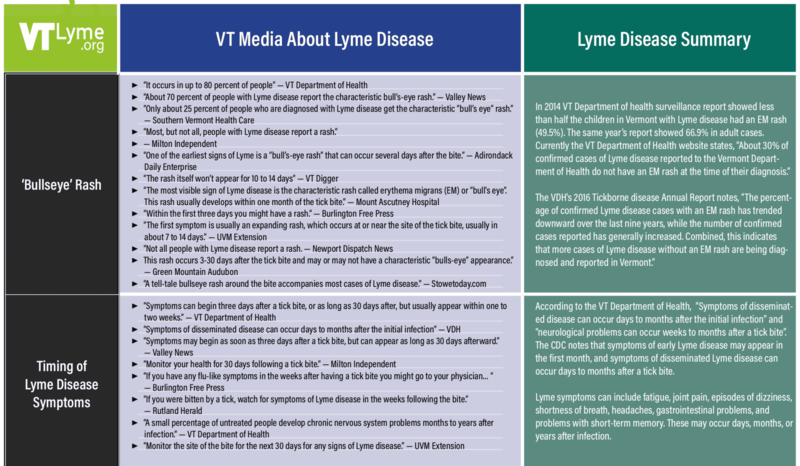 In early 2017 we published a chart showing inconsistencies in information about Lyme disease as reported in Vermont media from 2014-2016. 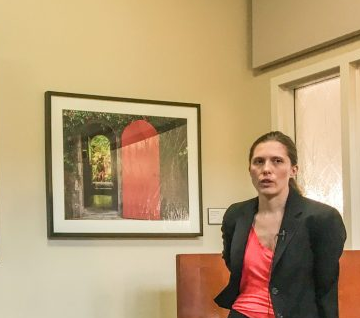 This review showed that even among medical and science professionals there was confusion about the diagnosis and treatment of Lyme disease in Vermont. Here is an updated chart from a review of articles published in VT from 2017 to early 2019. 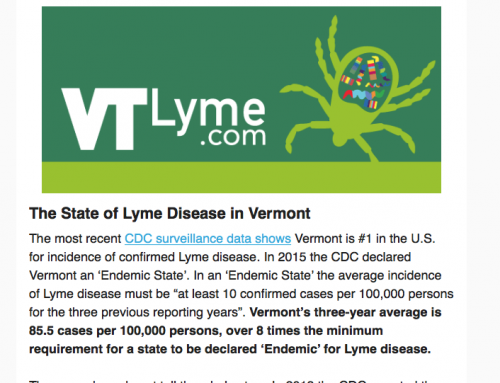 While some improvement has occurred – many more articles mentioned the impact of other tick-borne diseases in Vermont such as anaplasmosis and babesiosis – there continues to be discrepancies and inaccuracies about Lyme and tick-borne diseases in Vermont’s local media. 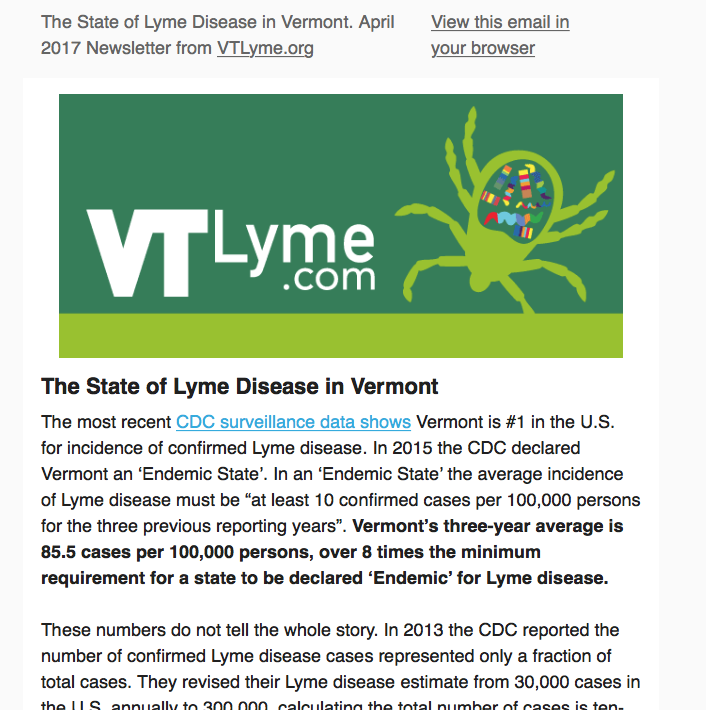 One of our goals at VTLyme.com is to ensure Vermonters have accurate information about Lyme and tick-borne diseases. We hope this chart highlights the need for consensus in our medical community and the conveyance of accurate information about the transmission, diagnosis, treatment, and impact of tick-borne diseases on Vermonters. 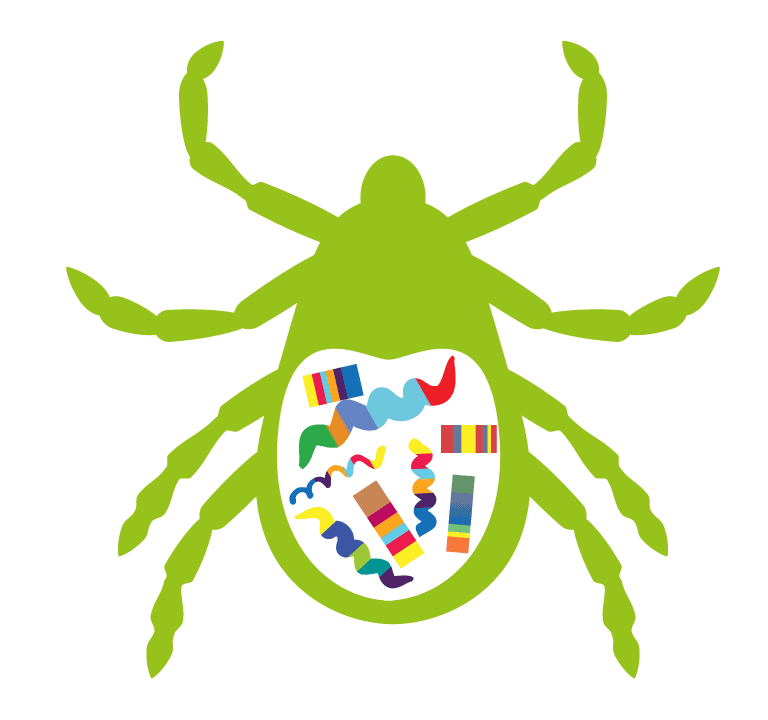 “Not all people with Lyme disease report a rash. In 2014 VT Department of health surveillance report showed less than half the children in Vermont with Lyme disease had an EM rash (49.5%). The same year’s report showed 66.9% in adult cases. According to a 2015 literature review, no minimum attachment time for transmission of infection has ever been established. The CDC says “in most cases the tick must be attached for 36 to 48 hours or more before the Lyme disease bacterium can be transmitted” which does not rule out a shorter timeline. Other tick-borne pathogens, including Borellia miyamotoi, have been shown to be transmitted within 24 hours. Powassan Virus can be transmitted from tick to host in as soon as 15 minutes. Also, a tick that has already been feeding on a different host, such as a family cat or dog, is able to infect a new host within 24 hours of their re-attachment. The earlier a person is diagnosed with Lyme disease, the more likely standard treatment will work. Most people recover fully from Lyme disease when it is promptly diagnosed and appropriately treated, but those with a delayed diagnosis, or untreated disseminated disease, may have longer recovery times or need additional treatment. Some Vermonters have been disabled by tick-borne diseases. Approximately 10-20% of people treated for Lyme disease have continuing symptoms at least a year after treatment. In Vermont, other vector-borne diseases such as anaplasmosis, erlichiosis, babesiosis and bartonellosis may impact recovery from Lyme disease. 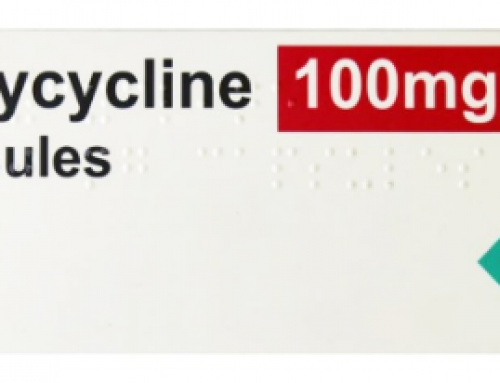 There are questions about the use of single-dose doxycycline as a prophylactic treatment. 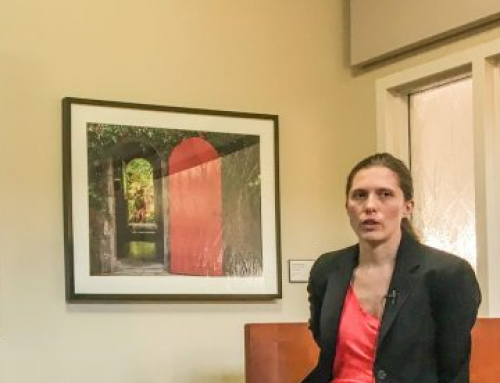 The study that was the basis of this treatment used the prevention of an EM rash as evidence of prevention of Lyme disease. However, an EM rash is not present in all cases of Lyme disease. 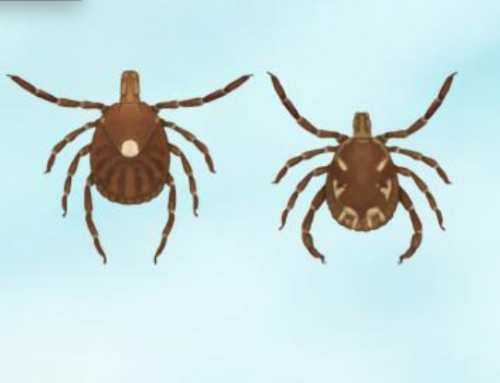 According to the VT Department of Health, “Symptoms of disseminated disease can occur days to months after the initial infection” and “neurological problems can occur weeks to months after a tick bite”. 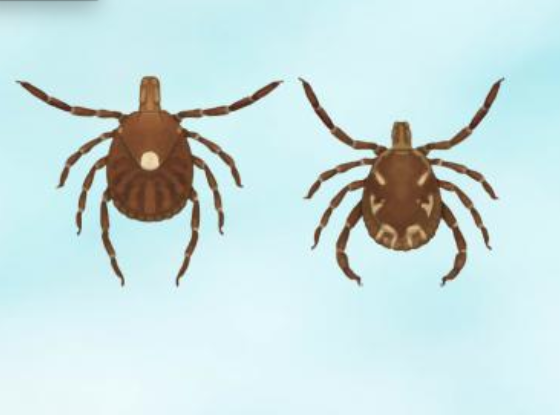 The CDC notes that symptoms of early Lyme disease may appear in the first month, and symptoms of disseminated Lyme disease can occur days to months after a tick bite. 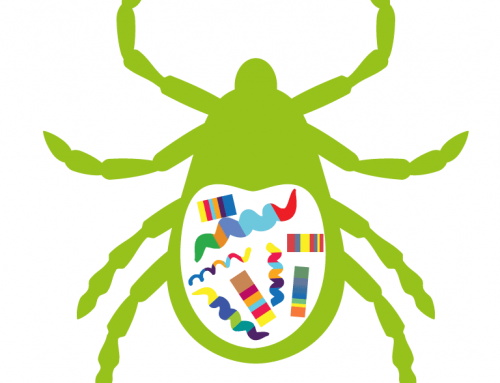 Lyme symptoms can include fatigue, joint pain, episodes of dizziness, shortness of breath, headaches, gastrointestinal problems, and problems with short-term memory. These may occur days, months, or years after infection.